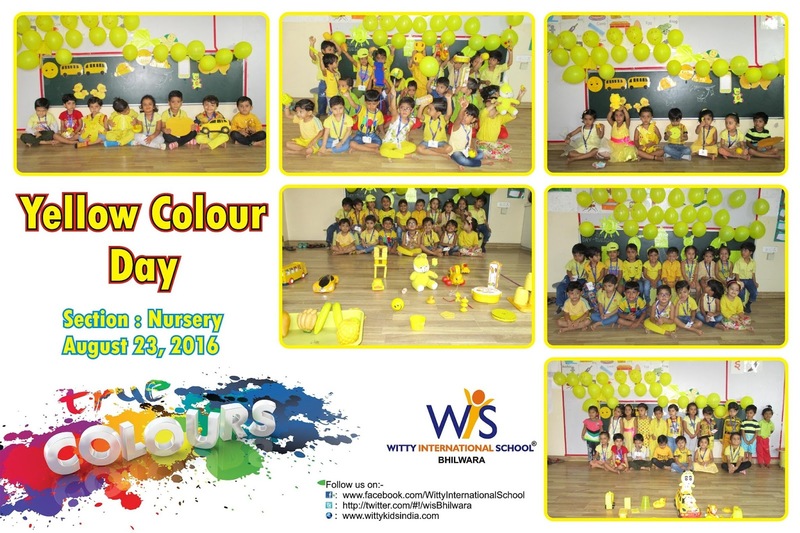 The toddlers of Nursery celebrated Yellow Colour Day on Tuesday,August 23,2016 with a lot of fun filled activities. The kids came to school in Yellow coloured clothes and brought their favourite yellow coloured objects. The classrooms were also decorated with Yellow coloured objects. The kids could recognize the colour yellow in a fun filled and exciting way.